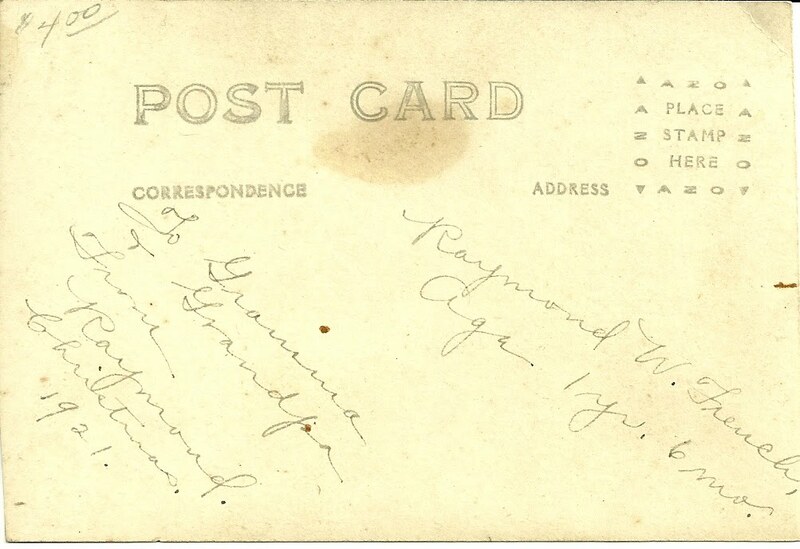 Real Photo Postcard of Raymond W. French. 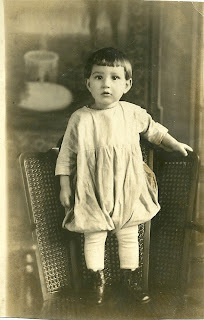 Identification on the back reveals that Raymond was a year and a half old when this photograph was taken. 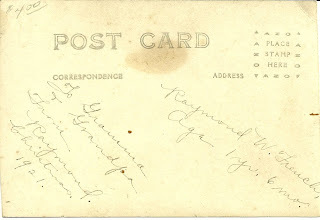 The postcard was acquired in Maine, and there does happen to be a Raymond W. French that fits, though I can't be sure. The Raymond W. French I found online was born in Massachusetts in 1920 and resided in Maine until his death in 1970. According to Census and death records, he lived in both Washington and Hancock Counties. 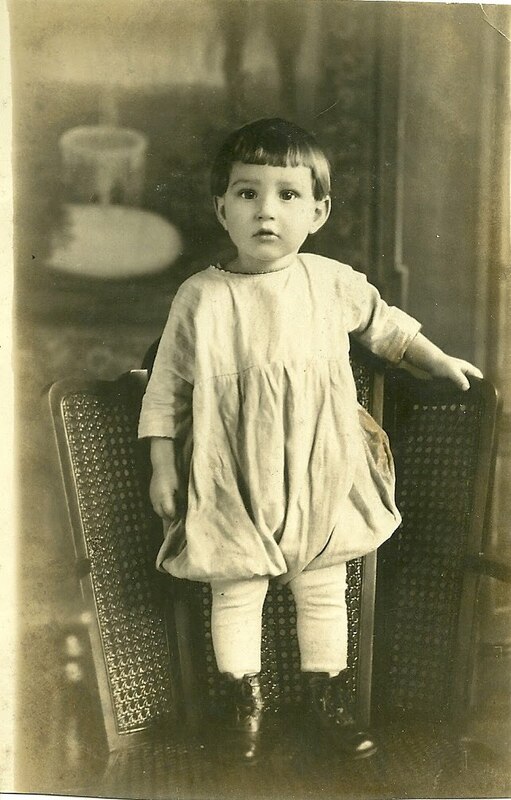 If you recognize this Raymond W. French from family photograph albums, especially if you know him to be another Raymond W. French entirely, I'm hoping that you will let me know.